As already we know that search engine spider crawls all the respective web pages to index on search engines at regular intervals of time. In our simulator, you can have a quick view of the tool on how the crawlers crawl and index the site. 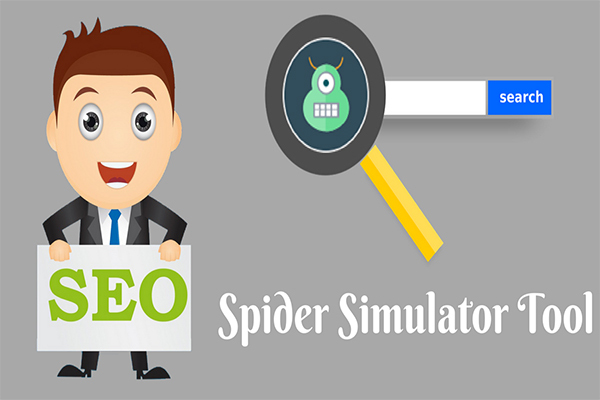 It includes major key seo elements like meta tags, header tags, content, crawlable links, footer links and other elements using spider simulator to view your web page. You need a help if you are a beginner to create meta tags, use our free online meta tag generator tool. The main purpose of this tool to exactly have an idea of what real spider will look on your site for indexing as similar to search engine spiders will do. If anything inaccessible elements present in your site structure, the tool will help you identify the area and fix it manually. How does spider simulator tool work? The tool is very simple to use, just copy the required URL to be simulated by the tool and place in the respective textbox. Once you have clicked submit button, it displays the site crawlable information to the user and user can view the errors found on spider simulated data.